Absolute Pastured Poultry – Chicken More Naturally Raised! Learn About America’s New Way Forward and Absolute Pastured Poultry Below. We are Members of the American Pastured Poultry Producers Association! One minute long preview video clip made available courtesy of APPPA above. Welcome to our farm. The home of Absolute Pastured Poultry and America’s New (Old) Way Forward to Better Quality Chicken! Pastured Poultry = chickens that live outside in a natural habitat (on grass, in the fresh air and sunshine with plenty of space to roam and forage). By rotating the chickens to fresh pasture every single day, Pastured chicken is not only healthy and delicious but also goes beyond sustainability to rebuild healthy, regenerative soils and grasslands. The differences between our chicken and conventionally raised chicken are numerous. We use the term “Always Outside” to note the fact that our chickens don’t just have ambiguous “access to pasture”, but actually live outside on pasture 24 hours a day, 7 days a week. Instead of debeaking newly hatched chicks, our birds are able to use their beaks and talons to peck and scratch for bugs, worms, grasses, seeds, and more. Instead of using antibiotics to fight disease within the flock, we use a healthy environment of pasture, sunshine, fresh air, soil and space to prevent sickness. Instead of providing all vegetarian-fed chicken (chickens are not vegetarians), we want our chickens to eat as many bugs and worms as possible. And instead of hiding our farm from view, we know that our best quality is transparency, so we regularly open the farm for tours and answering your questions. The result? Real chicken. We could call it pasture-raised, free range, cage-free, local, beyond organic, humane, biodynamic, sustainable, regenerative, and more. But 100 years ago, it was just called chicken. Let’s rewind poultry production back to a time before the industrialized mass production factories and experience the rich flavor that can only come from chickens that live outside on pasture. The way it was meant to be! View above video that explains in greater detail what pasture raised chicken is all about and why you should change your menu to more naturally raised, pastured chicken!! The U.S. Department of Agriculture’s labeling for meat and poultry products can be misleading. For example, the label “free range” chicken simply require producers to demonstrate that the birds have “access” to the outdoors. Regulations do not state how much space the flock must be given or require that the chickens have access to a pasture diet. Are you interested in making pasture-raised chicken part of your menu? Send us an email [ absolutepp@email.com ] and we’ll get in touch with you as soon as possible. We look forward to sending you more information, answering your questions, inviting you for a farm visit, and partnering with you to bring quality chicken to you and your family! 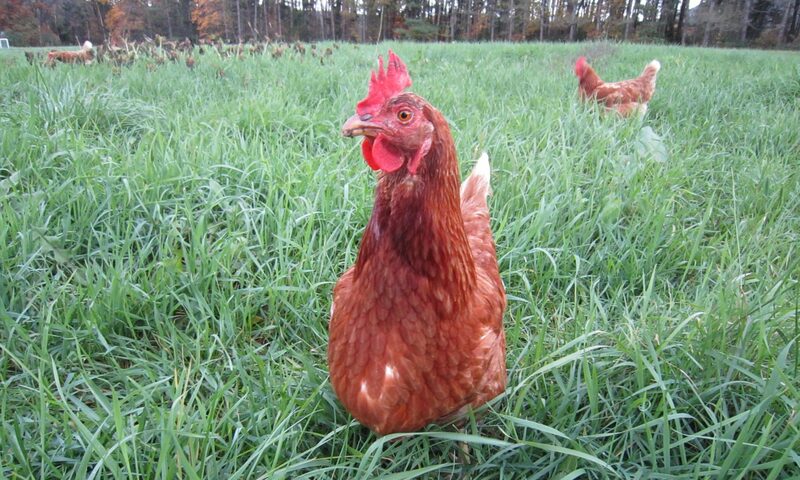 Our more naturally raised pasture based chicken is available direct from a local farm to you and your family! Please contact us at any time of the year for ordering information and to learn more about how to reserve your order for naturally raised, gourmet quality pastured poultry and pasture based, nutritionally packed eggs! It is the way that food was meant to be! A new (old) way forward for America.